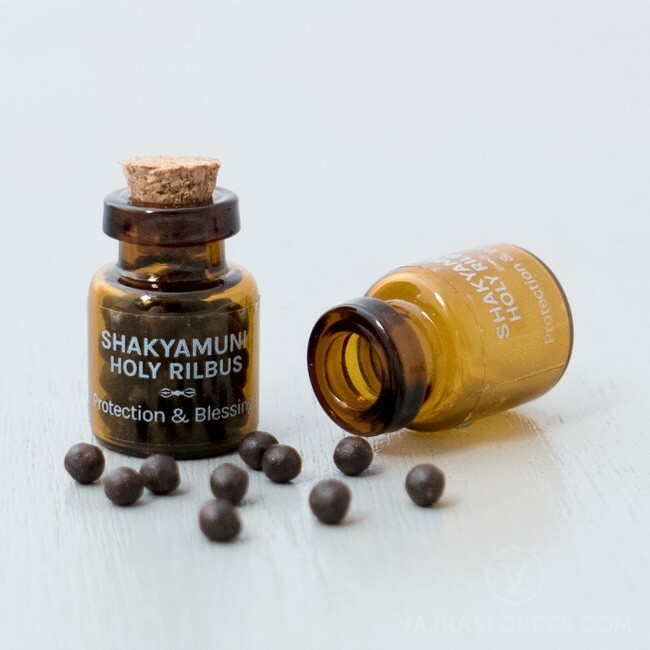 Handmade by high lamas and monks from Himalayan mountain herbs and other rare substances, Shakyamuni Holy Rilbus are excellent for anyone seeking protection, positive energies and the blessings of the Awakened One, Buddha Shakyamuni. 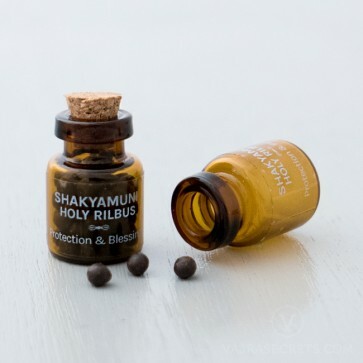 Shakyamuni Holy Rilbus are handmade in the monasteries from precious Himalayan mountain herbs, holy items and substances collected from the sacred places of Buddha Shakyamuni, including Lumbini (where he was born), Bodhgaya (where he gained Enlightenment), Sarnath (where he turned the Wheel of Dharma for the first time) and Kushinagar (where he entered parinirvana). These sacred sites are imbued with the blessings and positive energies of current and previous Buddhas, who performed these very same actions in the exact same location in the universe. The Buddha himself even advised his followers to make a pilgrimage to each of these four sites at least once in their lifetime. These rare and precious rilbus contain the essence of these power places and are further infused with the Buddha's positive energy through ritual and prayer. They are excellent for anyone seeking protection, positive energies and the blessings of Buddha Shakyamuni. Put into bathing water for general blessings and protection.